It’s so important to encourage young people to get active, so reward the efforts of your schoolchildren or youth group with medals for everyone if you’re holding a sporting event. We can provide medals for 1st, 2nd and 3rd positions and a generic ‘well done’ medal for runners up. Of course, it’s also good to recognise the best performers and give them something to aspire to, so don’t forget to order a more substantial trophy or cup for the winning team or players. Not everyone excels in sport, so as the school year draws to a close think about other areas of the curriculum that merit an award. How about recognising children who have exceeded expectations in science, art, maths or English? Or those who have been consistently kind and considerate to others? Children with special educational needs can often miss out when it comes to traditional award schemes. So perhaps it’s time to turn this around with awards or plaques for children who’ve made significant effort or progress this year, regardless of how they compare to the rest of the class. Beavers, Brownies, Cubs, Scouts and Girl Guide groups can also join in the fun with special awards for individuals who have pushed themselves to try new things or overcome challenges this year. Whether it’s a talent contest at the village fete or a friendly charity dog show, you can raise the stakes (and the funds) by introducing trophies and medals for category winners. 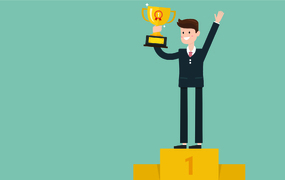 Make sure the trophies are on display when people are booking their entries, and for a minimal investment you could find that income for your organisation soars. It’s always good to celebrate achievement and giving recognition where it’s due can inspire people to achieve more next time. All of our awards are durable enough to be used year after year, and many can be personalised with winners’ names. Contact your local Recognition Express team today to discuss how we can support you with cost-effective medals, awards and trophies for all your worthy winners.